What Comes After isn't just about Rick Grimes' departure. The Walking Dead has aired Rick Grimes' final episode, but whole the hour is mostly focused on wrapping up his story (sort of), there's another big moment right at the end. After having one huge plot twist, with Rick being picked up by Jadis/Anne and taken away on a helicopter, the show has one last trick up its sleeve. Once Rick has been flown off, we pan back down to Earth and pick things up with another group of survivors, surrounded by walkers. These are recognisable to anyone who's followed the casting for the show, with this scene marking the introduction of Magna's group. Magna herself is played by Nadia Hilker, and there's also Yumiko (Eleanor Matsuura), Luke (Dan Fogler), Connie (Lauren Ridloff), and Kelly (Angel Theory). In the comics, they come into play in the aftermath of All Out War, with Magna initially sceptical of Rick's group but coming to work closely with them. 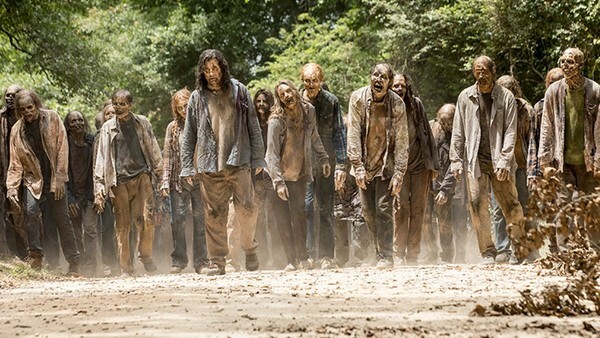 Here, they look doomed as the walkers surround them, only for someone to take a few out with a gun and clear a path to escape. They find their way to a clearing in the woods, where they come across the little girl who saved them. She puts on her cowboy hat, and declares herself to be "Judith. 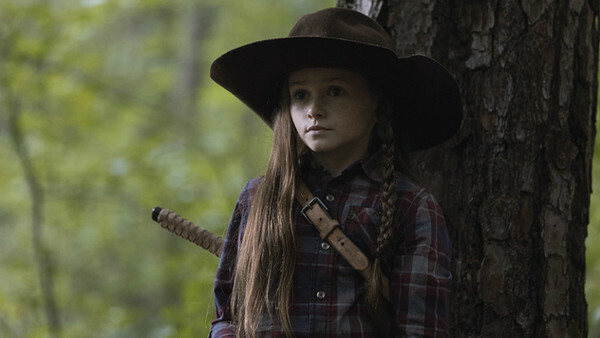 Judith Grimes." Yep, The Walking Dead just had ANOTHER time jump, and this one is even more significant than the first. It's not confirmed just how much time has passed, but the actress playing Judith now, Cailey Fleming (who also appeared as young Rey in Star Wars: The Force Awakens) is 12-years-old, meaning it could be as far as a decade in the future now, and at least over five years, with Judith trying to honour her father's legacy. So much could happen in that time, especially in this world, which means if The Walking Dead wants to get rid of any dead weight, now is the time to quietly bump them off. 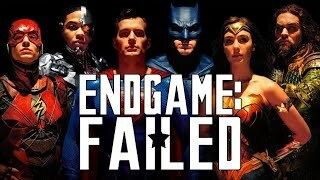 It also means, though, that the status quo of the series will have completely shifted, and breaks away completely from losing Rick, at least for the characters if not the viewers. As if all that weren't enough, there's also a tease for the coming episodes that offer glimpses of the new world - Carol's long hair is the most obvious change - which ends with the tease of the Whisperers, the villainous group who walk among the dead, with the heroes here thinking that the walkers are "evolving". There's no sign of Lauren Cohan's Maggie in that trailer, though, and that's because, quietly, this was her final episode too - at least of Season 9. Cohan will be back at some point, but the time jump will have to explain her absence until that happens. What did you think of the time jump? Let us know down in the comments.